Rzeszów (Polish: [ˈʐɛʂuf] ( listen); Latin: Resovia; German: Resche) is the largest city in southeastern Poland and eighteenth in the whole country, with a population of 190,203 (30 June 2018). It is located on both sides of the Wisłok River in the heartland of the Sandomierz Basin. Rzeszów has been the capital of the Subcarpathian Voivodeship since 1 January 1999, and is also the seat of Rzeszów County. The history of Rzeszów begins in 1354, when it received city rights and privileges by Casimir III the Great. Local trade routes connecting the European Continent with the Middle East and the Ottoman Empire resulted in the city's early prosperity and development. In the 16th century, Rzeszów had a connection with Gdańsk and the Baltic Sea. It also experienced growth in commerce and craftsmanship, especially under local rulers and noblemen. Following the Partitions of Poland, Rzeszów was annexed by the Austrian Empire and did not regain its position until it returned to Poland after World War I. During World War II Rzeszów's large Jewish community perished in the Holocaust. Rzeszów has found its place in the group of the most elite cities in Poland, with growing number of investments, rapid progress and a very high standard of living. In 2011 Forbes awarded Rzeszów with the second place in the ranking of the most attractive semi-large cities for business. Moreover, the city is home to a number of higher education schools and foreign consulates. Rzeszów is also developing as a regional tourist destination; its Old Town, Main Market Square, churches and synagogues are among the best preserved in the country. In recent years, the population of Rzeszów has grown from 159,000 (2005) to over 190,000 (2018). Further plans for extending the city's borders include incorporating surrounding counties to strengthen its function as a metropolitan centre in southeastern Poland. Rzeszów is served by an international airport and is a member of Eurocities. In the area of Rzeszów, the first humans appeared in the late Paleolithic Age; archeologists have excavated a tool made in that period at site Rzeszów 25. In the mid-6th century BC, the first farmers came to the area of the city, most likely through the Moravian Gate. Later on, Rzeszów was a settlement of the Lusatian culture, which was followed by the Przeworsk culture. In the 5th century, the first Slavs appeared in the area, which is confirmed by numerous archeological findings. Most probably, Rzeszów was then inhabited by the Vistulans. Some time between 11th and 13th century the town was conquered and subsequently annexed by the East Slavic Ruthenians. Polish princes of the Piast dynasty annexed it in 1264 and in Tarnów, there was a meeting of Prince Bolesław V the Chaste, and Prince Daniel of Kingdom of Galicia–Volhynia, during which both sides agreed that the border would go between Rzeszów and Czudec (Rzeszów belonged to Kingdom of Galicia–Volhynia, while Czudec and Strzyżów to Lesser Poland). After unification of Poland (see Testament of Bolesław III Wrymouth), Rzeszów remained in Ruthenian hands until 1340, when Casimir III the Great annexed Red Ruthenia, inviting his knights to govern the newly acquired land. According to some sources, at that time Rzeszów was inhabited by the Walddeutsche, and was called Rishof (during World War II, the Germans renamed it Reichshof). The town was granted Magdeburg rights, it had a parish church, a market place and a cemetery, and its total area was some 1,5 km2. Magdeburg rights granted Rzeszów's local authorities the permission to punish criminals, build fortifications and tax merchants. In 1458 Rzeszów was burned by the Vlachs and the Turkic Tatars. In 1502 the Tatars destroyed it again. Earlier, in 1427, Rzeszów had burned to the ground in a big fire, but the town recovered after these events, thanks to its favorable location on the main West – East (Kraków – Lwów) and North – South (Lublin – Slovakia) trade routes. In the 15th century the first Jews settled in Rzeszów. The 16th century was the time of prosperity for the town, especially when Rzeszów belonged to Mikołaj Spytek Ligęza (since the 1580s), who invested in infrastructure, building a castle, a Bernardine church and a monastery. Rzeszów then had some 2,500 inhabitants, with a rapidly growing Jewish community. The town was granted several royal rights, including the privilege to organise several markets a year. At that time, Rzeszów finally grew beyond its medieval borders, marked by fortifications. In 1638 Rzeszów passed into the hands of the powerful and wealthy Lubomirski family, becoming the centre of its vast properties. At first, the town prospered and in 1658, first college was opened there, which now operates as High School Nr 1. The period of prosperity ended, and furthermore, there were several fires and wars, which destroyed the town. Rzeszów was first captured by the Swedes during The Deluge, then by the troops of George II Rákóczi leading to the Treaty of Radnot. During the Great Northern War, the Swedes again captured Rzeszów, in 1702, then several different armies occupied the town, ransacking it and destroying houses. 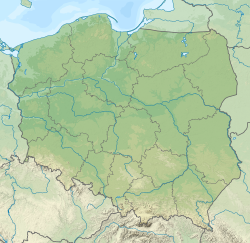 In the mid-eighteenth century, the town's population was composed of Poles (Roman Catholics) and Yiddish Jews in almost equal numbers (50.1% and 49.8%, respectively). In 1772, following first partition of Poland, Rzeszów became part of the Austrian Empire, to which it belonged for 146 years. In the late 18th century, Rzeszów had 3,000 inhabitants. By the mid-19th century, the population grew to around 7,500, with 40% of them Jewish. In 1858, Galician Railway of Archduke Charles Louis reached Rzeszów, which resulted in further development of the town. In 1888 first telephone lines were opened, in 1900 – gas street lamps, and in 1911 – power plant and water system. The population grew to 23,000, with half of inhabitants being Jews. A number of modern building were constructed, most of them in Secession style. During World War I, several battles took place in the area of the town. Rzeszów was home to a large garrison of the Austro-Hungarian Army, and in the city of Przemyśl, located nearby, there was a major fortress. During the Battle of Galicia in the late summer of 1914, Russian troops moved towards Rzeszów, and on 21 September, they captured it. First Russian occupation lasted only 16 days, ending after an attack of the Austrians, on 4 October. Under Russian pressure, the Austrians were unable to keep the town, and on 7 November, the Russians again appeared in Rzeszów. In late fall of 1914, the frontline was established between Tarnów and Gorlice, and Rzeszów became an important center of the Imperial Russian Army, with large magazines of food and ammunition located there. Russian occupation lasted until May 1915. After the Russians were pushed out of Galicia, Rzeszów remained outside of the area of military activities. Austrian administration returned, but wartime reality and destruction of the town had a negative effect on the population, and the quality of life deteriorated. On 12 October 1918, Rzeszów's mayor, together with the town council, sent a message to Warsaw, announcing loyalty to the independent Polish government. On November 1st, after clashes with German and Austrian troops, Rzeszów was liberated, and the next day, mayor Roman Krogulski took a pledge of allegiance to the Polish state. During World War I, some 200 residents of Rzeszów died, rail infrastructure was destroyed, as well as approximately 60 houses. In 1920, Rzeszów became capital of a county in the Lwów Voivodeship. The town grew, and creation of the Central Industrial Region had an enormous impact on Rzeszów. It became a major center of defense industry, with PZL Rzeszów opening there in 1937, it also was a home to a large garrison of the Polish Army, with the 10th Motorized Cavalry Brigade stationed there. In 1939, Rzeszów had 40,000 inhabitants, but its dynamic growth was stopped by the Invasion of Poland. On 6 September 1939, Rzeszów was bombed by the Luftwaffe. The town was defended by the 10 Cavalry Brigade and 24th Uhlan Regiment from Kraśnik. German attack began on 6 September in the afternoon, and the Wehrmacht entered the city on the next day in the morning. Rzeszów, renamed into Reichshof, became part of the General Government, in 1941 a ghetto was opened there, whose Jewish inhabitants were later murdered in Bełżec extermination camp. During the war, Rzeszów was a main center of Polish resistance (Home Army, AK), with Rzeszów Inspectorate of the AK covering several counties. On 25 May, during Action Kosba, Home Army soldiers killed on Rzeszów street Gestapo henchmen, Friederich Pottenbaum and Hans Flaschke. In the summer 1944, during Operation Tempest, units of the Home Army attacked German positions in the town, and on 2 August, Rzeszów was in the hands of the Home Army. Polish authorities loyal to the London Government tried to negotiate with the Soviets, but without success. NKVD immediately opened a prison in the cellars of the Rzeszów Castle, sending there a number of Home Army soldiers. In the night of 7/9 October 1944, Home Army unit under Łukasz Ciepliński attacked the castle, trying to release 400 inmates kept there. The attack failed, and Ciepliński was captured and subsequently executed in 1951. Until the outbreak of World War II the Jews of Rzeszów numbered 14,000, more than one-third of the total ethnic Polish population. The town was occupied by the German Army on 10 September 1939 and was renamed as "Reichshof". German persecution of the Jews began almost immediately; by the end of 1939, there were 10 forced labour camps in the Rzeszów region and many Jews became slave labourers. Jews were forced to live in the Gestapo-controlled ghetto. Many Jews managed to flee to Soviet-occupied Poland. By June 1940, the number of Jews in Rzeszów had decreased to 11,800, of whom 7,800 were pre-war residents of the city; the rest were from surrounding villages. Life in the ghetto was impossible and hundreds died. During the war some 20,000 Jews were murdered in the ghetto in Rzeszów. This number includes thousands who were sent to Rzeszów only to be deported or murdered soon after arrival. In the fall of 1943 most Jewish slave labor was transported in Holocaust trains to the newly reopened Szebnie concentration camp. A month later, on 5 November 1943, some 2,800 Jews were sent from there, to meet their demise in Auschwitz. Of Rzeszów's 14,000 Jews, only 100 survived the war in Rzeszów itself, hiding all over Poland, and in various camps. After the war an additional 600 Rzeszów Jews returned from the Soviet Union. Almost all of them subsequently left the city and the country. On 7 July 1945, Rzeszów became capital of the newly created Rzeszów Voivodeship, which consisted of western counties of prewar Lwów Voivodeship, and several counties of prewar Kraków Voivodeship. This decision had a major impact on the city, as it quickly grew. New offices of the regional government were built, and in 1951, several neighboring villages were annexed by Rzeszów, and the area of the city grew to 39 km2. In 1971 and 1977, further villages were annexed. In early 1981, Rzeszów was a main center of peasant's protests, who for fifty days occupied local offices, which resulted in the signing of the Rzeszów – Ustrzyki Agreement, and the creation of Rural Solidarity. On 1 January 1999, the city became the capital of Podkarpackie Voivodeship. Its population grew to 170,000, and area to 91,43 km2. Since 1 January 2017 years Rzeszów will be greater on the village Bzianka (Government Decision of July 2016.). The area of Rzeszów will increase to over 120 square kilometers and more than 188,000 inhabitants. In 2004, Rzeszów hosted the Central European Olympiad in Informatics (CEOI). In 1991 Pope John Paul II visited Rzeszów. During the celebrations in which nearly 1,000,000 people participated, the pope beatified Bishop Józef Sebastian Pelczar, former bishop of Przemyśl. 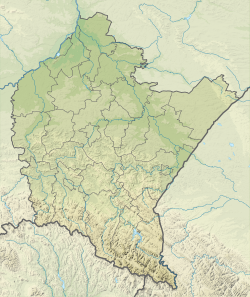 On 25 March 1992 Pope John Paul II established the new Diocese of Rzeszów. The city of Rzeszów became the administrative centre of the new Diocese and the Church of the Sacred Heart became the new city cathedral. Rzeszów lies in the north temperate zone and has a continental climate with four distinct seasons. It is characterised by a significant variation between hot summers and cold, snowy winters. Average temperatures in summer range from 18 to 19.6 °C (64 to 67 °F) and in winter from −2.1 to 0 °C (28 to 32 °F). The average annual temperature is 8.9 °C (48 °F). In summer temperatures often exceed 25 °C (77 °F), and sometimes even 30 °C (86 °F), while winter drops to −5 °C (23 °F) at night and about 0 °C (32 °F) at day; during very cold nights the temperature drops to −15 °C (5 °F). In view of the fact that Rzeszów lies near the Carpathian Mountains, there is sometimes a halny – a föhn wind, when the temperature can rise rapidly. According to GUS data, as of 31 December 2017, Rzeszów had 189,662 inhabitants. In contrast to other cities close to the size of Rzeszów in Poland, the population is growing. Rzeszów is the 18th Polish city in terms of population and 22 in terms of area. The decisions of the Council of Ministers from 2015 and 2016 with a significant increase in the area of cities Zielona Góra and Opole had an impact on the decline from the 20th place to the 22nd place according to the area . As the largest city of the region Rzeszów has a diverse set of notable people associated with it. Hero of anti-Nazi and anti-Soviet resistance, Lukasz Cieplinski, singer Justyna Steczkowska, general Józef Zając, and leading theatre director Jerzy Grotowski, among others, were born or lived in the city. Polish prime minister and commander-in-chief general Władysław Sikorski studied there, while pioneer of the oil industry, Ignacy Łukasiewicz, spent much of his life in Rzeszów. Anja Rubik, Polish model, was born in 1983 in Rzeszów. Natalie Portman's family come from Rzeszów. Tomasz Stańko, internationally acclaimed jazz trumpeter, Rich Szaro, American football player, and Dawid Kostecki, professional boxer, come from Rzeszów. At Widełka substation, situated approximately 20 kilometres (12 miles) north-northeast of Rzeszów, the Rzeszów–Khmelnytskyi powerline, the only 750 kV powerline in Poland, ends. A4 Highway. Other Polish cities located by the E40 highway are Wrocław, Katowice, Kraków and Korczowa. In recent years, communication has been improved by modernisation of the roads within the city. SCATS traffic system has been implemented. Highway A4 acts as a bypass of the city, running through the northern districts of Rzeszów. Rzeszów-Jasionka Airport (Port Lotniczy Rzeszów-Jasionka) is located in the village of Jasionka 10 kilometres (6.2 miles) north of the city. As of June 2015 scheduled passenger services are offered by Ryanair, LOT Polish Airlines, and Lufthansa. This is supplemented seasonally by tourist charter flights to typical summer leisure destinations. For more details see Rzeszów-Jasionka Airport or its Official website. The city operates 49 bus lines including night and airport buses. Rzeszów is also a gateway to the Bieszczady mountains, with many buses heading for Sanok. Rzeszów is an important rail hub is on the main West-East rail route; Line 91. This runs from Silesia and Kraków, Kraków Main station (Kraków Główny) – Medyka on the Polish eastern border. This line then continues on to Ukraine. Its main railway station was established in the 19th century and apart from it, there are five additional stations in the city: Rzeszów Staroniwa, Rzeszów Zwięczyca, Rzeszów Osiedle, Rzeszów Załęże and Rzeszów Zachodni (freight only). There are also two non-electrified lines stemming from Rzeszów – to Jasło and to Tarnobrzeg. ^ a b "Dane statystyczne urzędu miasta Rzeszowa" (in Polish). Retrieved 17 January 2018. ^ Cf. Pięć wieków miasta Rzeszowa XIV-XVIII, Collective of authors, Franciszek Błoński [pl] (ed.) on behalf of the Polskie Towarzystwo Historyczne, Rzeszów department, Warsaw: Państwowe Wydawnictwo Naukowe, 1958, p. 18; and Władysław Makarski, Roczniki humanistyczne, Towarzystwo Naukowe Katolickiego Uniwersytetu Lubelskiego, 1983. T. 33, p. 70. During the German occupation 1939–1944 Rzeszów was given the artificial new name of Reichshof. ^ a b c o.o., StayPoland Sp. z. "History of Rzeszow". Retrieved 28 April 2017. ^ News, Rzeszów (10 December 2015). "Raport o polskich metropoliach. Jak wypadł w nim Rzeszów?". Retrieved 28 April 2017. ^ J. Motylkiewicz. "Ethnic Communities in the Towns of the Polish-Ukrainian Borderland in the Sixteenth, Seventeenth, and Eighteenth Centuries". C. M. Hann, P. R. Magocsi ed. Galicia: A Multicultured Land. University of Toronto Press. 2005. p. 37. ^ a b c "Rzeszow". jewishvirtuallibrary.org. Retrieved 5 February 2010. ^ "Truppenübungsplatz Reichshof (Rzeszow) • Axis History Forum". Retrieved 28 April 2017. ^ "Rzeszow Ghetto". Retrieved 28 April 2017. ^ Stefan Krakowski (2013). "Rzeszow. Holocaust Period". Encyclopaedia Judaica. Jewish Virtual Library. Retrieved 8 July 2013. In September 1943 able-bodied Jews of Rzeszów were transported to Szebnia, where the majority met their death. ^ "Rzeszow www.HolocaustResearchProject.org". Retrieved 28 April 2017. ^ "EuroWEATHER – Maximum temperature, Rzeszow, Poland – Climate averages". eurometeo.com. Retrieved 5 February 2010. ^ "MSN Weather – Yearly, Monthly Temperature and Precipitation Averages and Records for Rzeszów, POL". MSN. Retrieved 5 February 2010. ^ A note attempting to provide the English comprehension of halny, which lacks a one-word translation: Halny is a singular masculine noun in Polish (plural: halne) when denoting the wind. Wind is of masculine gender in Polish: wiatr. The terms halny and wiatr halny are synonymous. Halny is also a general masculine adjective derived from the feminine noun hala, a grassy meadow typical of the higher elevations of the Carpathian Mountains and the Alps. The feminine singular adjective is halna, while the neuter singular and the plural for all three genders of the adjective is halne. ^ "Ludność w gminach. Stan w dniu 31 marca 2011 r. – wyniki spisu ludności i mieszkań 2011 r." Główny Urząd Statystyczny. Archived from the original on 27 November 2011. Retrieved 20 August 2012. ^ "Population in Poland. Size and structure by territorial division as of December 31, 2015" (ASPX) (in Polish). Retrieved 26 May 2016. ^ "Polska? Tak!". the POLSKI blog. 13 September 2011. Archived from the original on 4 March 2013. Retrieved 12 March 2013. ^ "Business briefs". Archived from the original on 12 November 2010. Retrieved 10 November 2010. ^ "PKS Rzeszów S.A." web.pks.rzeszow.pl. Retrieved 8 January 2010. ^ "University of Rzeszów: News". univ.rzeszow.pl. Archived from the original on 9 February 2010. Retrieved 8 January 2010. ^ a b c d e f g h i j k l m "Serwis informacyjny UM Rzeszów – Informacja o współpracy Rzeszowa z miastami partnerskimi". rzeszow.pl. Archived from the original on 5 December 2012. Retrieved 2 February 2010. ^ "History". Buffalo-Rzeszow Sister Cities, Inc. Archived from the original on 1 February 2009. Retrieved 24 December 2008. ^ "Semnarea acordului de înfrăţire: Satu Mare- Rzeszow" (in Romanian). satu-mare.ro. Retrieved 27 June 2009. ^ Офіційний сайт міста Івано-Франківська. mvk.if.ua (in Ukrainian). Retrieved 7 March 2010. ^ "Fangchenggang – nowe miasto partnerskie Rzeszowa" (in Polish). rzeszow.pl. Retrieved 8 November 2012. Jerzy Jawczak (1991). Rzeszów. Krajowa Agencja Wydawnicza. ISBN 978-83-03-02788-7. Retrieved 25 February 2010. Malczewski, Jan (1995). Rakuś, Anna; Staszewski, Krzysztof; Malczewski, Jan (eds.). 'Zamek w Rzeszowie, jego otoczenie i właściciele (in Polish). Rzeszów: Libri Ressovienses. ISBN 83-902021-5-8. Moshe Yaari-Wald (ed. ), Sefer Zikkaron li-Kehillat Risha (Heb., some Yid. and Eng., 1967). Wikimedia Commons has media related to Rzeszów. Wikivoyage has a travel guide for Rzeszów.